1. Artificial intelligence: It all started with Google and Facebook, and now, everyone else is jumping on the AI bandwagon. The simplest form of AI is face recognition, which we see on Facebook’s photo tagging feature. AI allows devices to think and behave as if they possess human intelligence. This translates to efficient, accurate and better systems which can work with the intelligence of a human being. AI deployed on web designs programs like The Grid allow even a newbie to create pretty decent websites. Their AI feature is called Molly. All you need to do is write the content, and then leave the rest to Molly. 3. Ruby on Rails: It’s been around since 2005, but made an impact with the 2016 release. 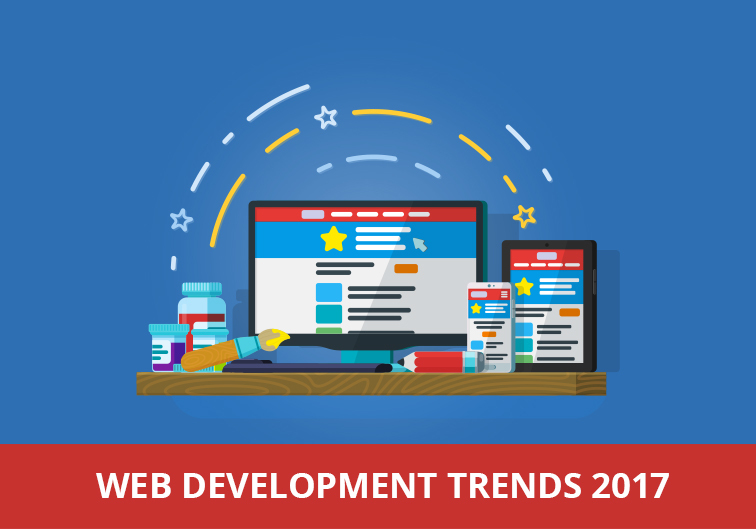 Packed with features, it has become a firm favourite with web developers. It allows developers to enhance a website’s appearance while Ruby takes care of all the behind-the-scenes work. 4. Internet of Things: IoT is a familiar term today, with the internet moving from smartphones and laptops to your home appliances. IoT is all about making a smart home by connecting devices so that they can talk to each other. Soon, web developers will need to look at working on apps that control household appliances, so that people can have their kettle boiling and have their lights turned on when they get back home at the end of the day. 5. Static site generators: Static site generators allow you to make a site from text stored in files on your server rather than in databases. The content and templates are deployed more efficiently, thereby reducing load time and improving security. 6. Chatbots: It was predicted that “conversational commerce” will drive businesses on the web. It’s no more the old machine-like bots, but smarter chatbots with the capability of human-like conversations. Bots promise to make life easier with meaningful advice from numerous perspectives and use cases. They can boost your online sales, solve customer concerns and give help at the right time. 8. Virtual reality: The market demands may bring in apps which are powered by Virtual Reality. VR is no longer associated with video games alone but will be soon seen on the web as well. VR will take user experience to a whole new level and will give companies a strong marketing edge on their websites. 9. Gifographics: GIFS have been in existence as the first computers themselves. Fast forward to the current scenario, infographics have become a popular medium to convey information and designers are trying their hand at animated infographics to engage the audience. Gifographics convey ideas without the need for lengthy explanations and make numbers and data fun and dynamic. The year 2017 is all about fine-tuning the UI/UX of a website to make the whole experience simpler, easier and smarter. We have seen that the very purpose of a website is now focused on catering to user needs. Our advice is to understand the user and combine it with your creativity to make a winning website.